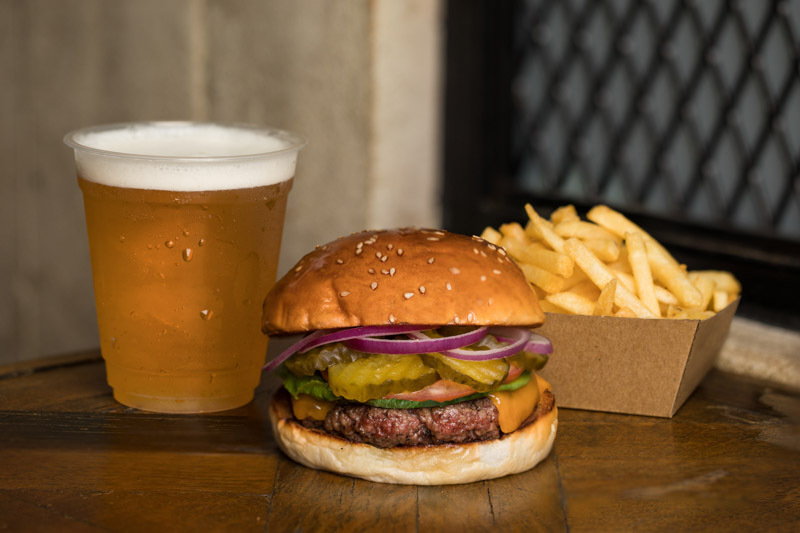 If you missed the burgers, fries and craft beers from the previous Shiok Shack Burger Pop Up, don’t worry. They’ve heard you and they’re back, bigger than before! 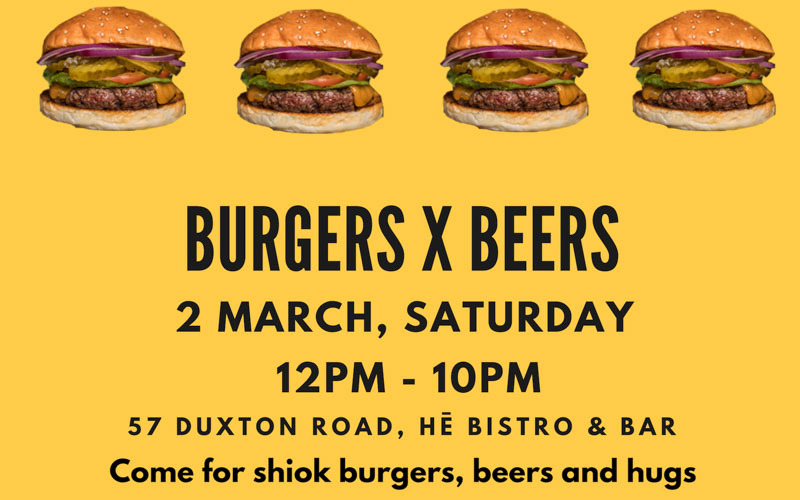 On 2 March 2019, head over to HE Bistro and Bar along Duxton Road for burgers and beers. 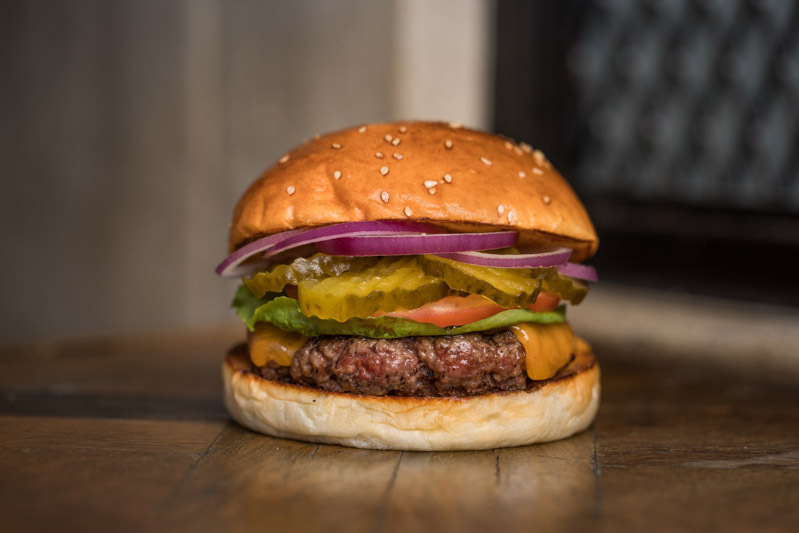 You can expect to taste their signature beef Classic Burger at the event. With a thick, succulent beef patty, it’ll have you coming back for even more of that juicy goodness. And what’s a burger without fries? Their addictive Loaded Fries will also be returning to satisfy all you fries lovers. 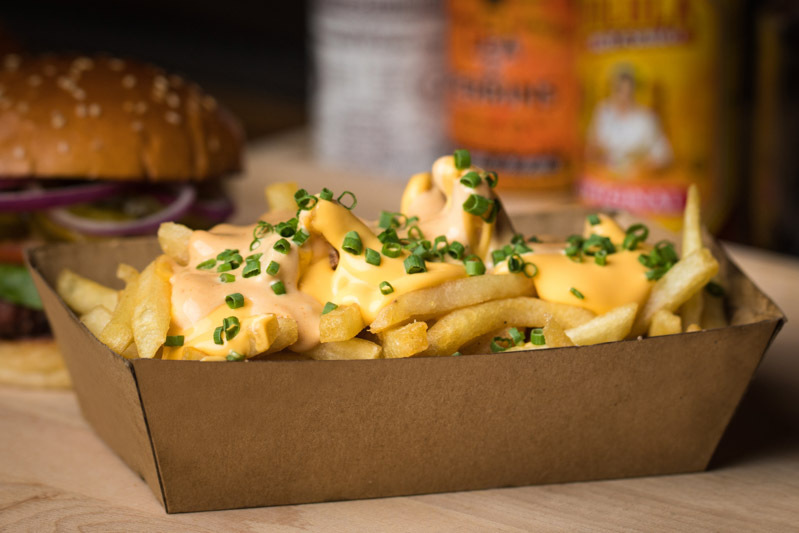 We have no idea what’s in their secret housemade cheese sauce, but they make the fries just so irresistible! Also, there’ll be craft Belgian beers from Blue Moon Brewing Company available at the pop-up. Don’t miss their exclusive alcoholic deals during HE Bistro’s Happy Hours! So, it’s time to gather all your burger-loving friends for a meet-up. With hearty burgers and drink deals, They’ll definitely make sure you have a shiok time!